Giving gifts to loved ones can create some of our happiest moments. Seeing someone special unwrap that gift with anticipation is a treasured feeling. 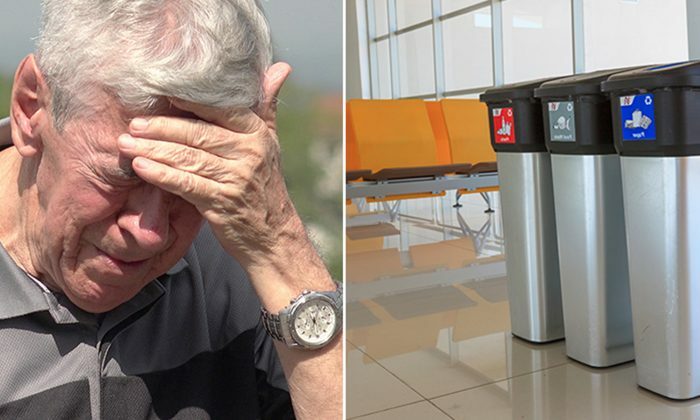 That feeling was denied to an elderly couple from Ohio, named Bill and Linda Modry, at the St. Pete-Clearwater International Airport back in February 2016 when their son Michael Moore was forced to throw their gift in the trash as the TSA agent blocked him for carrying packages on the flight. Then Moore was seen crying. Ivelise Amarri Hernandez and her boyfriend were at the same airport at that time. When they witnessed this, it touched Hernandez’s heart. 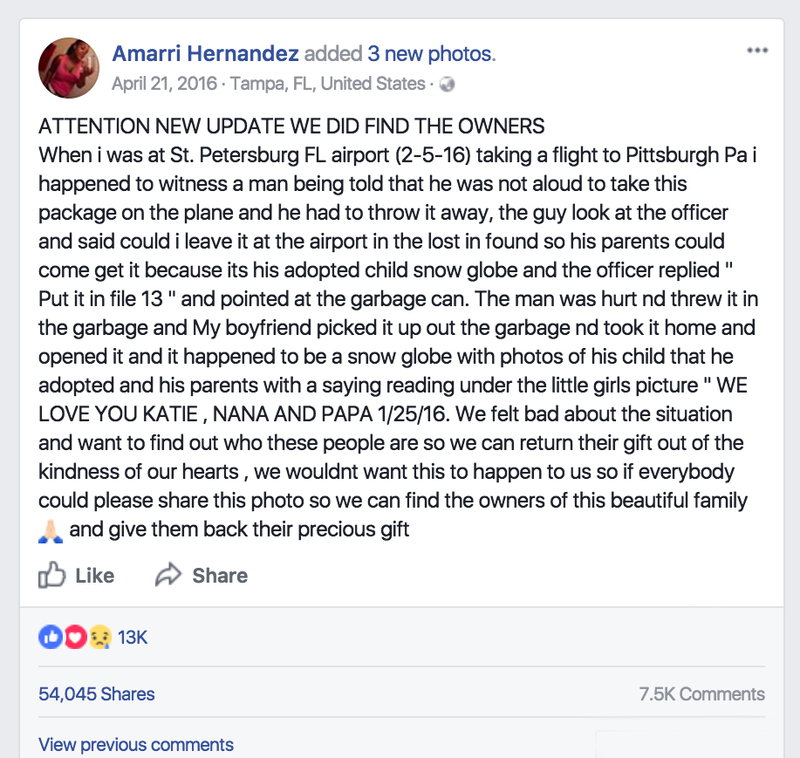 She retrieved the package and shared a photo of it on Facebook to find out more about the story of the discarded gift. Hernandez wanted to return the gift to its rightful owners. So she posted a couple of photos of the snow globe on Facebook with a hope that someone would recognize the photo. Hernandez’s post went viral and was shared more than 40,000 times in just a week. Luckily, one of the employees of Things Remembered, the company that made the custom snow globe, read the post. The employee wanted to help Hernandez and searched through records until she found the name of the person who ordered the custom-made snow globe. It was Linda Modry, and Hernandez was able to contact her. She then realized just how special that snow globe she retrieved from the trash was. Moore and his wife adopted 5-year-old Katie on Jan. 25, 2016. To celebrate this special day, Moore’s mother, Linda Modry, had bought the globe for Katie, and gave it to him when he was visiting her in St. Petersburg. It was Wednesday on April 27, 2016, when Modry met up with Hernandez in Tampa to retrieve the precious snow globe.